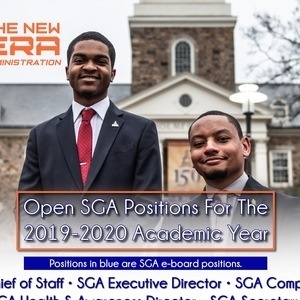 Positions are open for the Student Government Association for the 2019-2020 academic school year. Use the google docs link in the SGA Instagram Bio or the link attached below! Once your application has been reviewed, you will receive an invitation to pick your interview time. Interviews will end April 17, 2019.